Brian David Josephson, FRS (born 4 January 1940), is a Welsh theoretical physicist and professor emeritus of physics at the University of Cambridge. Best known for his pioneering work on superconductivity and quantum tunnelling, he was awarded the Nobel Prize in Physics in 1973 for his prediction of the Josephson effect, made in 1962 when he was a 22-year-old PhD student at Cambridge. Josephson is the only Welsh person to have won a Nobel Prize in Physics. He shared the prize with physicists Leo Esaki and Ivar Giaever, who jointly received half the award for their own work on quantum tunnelling. Josephson has spent his academic career as a member of the Theory of Condensed Matter group at Cambridge's Cavendish Laboratory. He has been a fellow of Trinity College, Cambridge since 1962, and served as professor of physics from 1974 until 2007. In the early 1970s Josephson took up transcendental meditation and turned his attention to issues outside the parameters of mainstream science. He set up the Mind–Matter Unification Project at the Cavendish to explore the idea of intelligence in nature, the relationship between quantum mechanics and consciousness, and the synthesis of science and Eastern mysticism, broadly known as quantum mysticism. Those interests have led him to express support for topics such as parapsychology, water memory and cold fusion, and have made him a focus of criticism from fellow scientists. Entrance to the old Cavendish Laboratory on Free School Lane, Cambridge. Josephson was born in Cardiff, Wales, to Jewish parents, Mimi (née Weisbard, 1911–1998) and Abraham Josephson. He attended Cardiff High School, where he credits some of the school masters for having helped him, particularly the physics master, Emrys Jones, who introduced him to theoretical physics. In 1957 he went up to Cambridge, where he read mathematics at Trinity College, Cambridge. After completing Maths Part II in two years, and finding it somewhat sterile, he decided to switch to physics. Josephson was known at Cambridge as a brilliant, but shy, student. Physicist John Waldram recalled overhearing Nicholas Kurti, an examiner from Oxford, discuss Josephson's exam results with David Shoenberg, then reader in physics at Cambridge, and asking: "Who is this chap Josephson? He seems to be going through the theory like a knife through butter." While still an undergraduate, he published a paper on the Mössbauer effect, pointing out a crucial issue other researchers had overlooked. According to one eminent physicist speaking to Physics World, Josephson wrote several papers important enough to assure him a place in the history of physics even without his discovery of the Josephson effect. He graduated in 1960 and became a research student in the university's Mond Laboratory on the old Cavendish site, where he was supervised by Brian Pippard. American physicist Philip Anderson, also a Nobel Prize winner, spent a year in Cambridge in 1961–1962, and recalled that having Josephson in a class was "a disconcerting experience for a lecturer, I can assure you, because everything had to be right or he would come up and explain it to me after class." It was during this period, as a PhD student in 1962, that he carried out the research that led to his discovery of the Josephson effect; Cambridge unveiled a plaque on the Mond Building dedicated to the discovery in November 2012. He was elected a fellow of Trinity College in 1962, and obtained his PhD in 1964 for a thesis entitled Non-linear conduction in superconductors. Wikimedia Commons has media related to Josephson effect. Josephson was 22 years old when he did the work on quantum tunnelling that won him the Nobel Prize. He discovered that a supercurrent could tunnel through a thin barrier, predicting, according to physicist Andrew Whitaker, that "at a junction of two superconductors, a current will flow even if there is no drop in voltage; that when there is a voltage drop, the current should oscillate at a frequency related to the drop in voltage; and that there is a dependence on any magnetic field." This became known as the Josephson effect and the junction as a Josephson junction. One-volt NIST Josephson junction array standard with 3020 superconducting junctions. His calculations were published in Physics Letters (chosen by Pippard because it was a new journal) in a paper entitled "Possible new effects in superconductive tunnelling," received on 8 June 1962 and published on 1 July. They were confirmed experimentally by Philip Anderson and John Rowell of Bell Labs in Princeton; this appeared in their paper, "Probable Observation of the Josephson Superconducting Tunneling Effect," submitted to Physical Review Letters in January 1963. Before Anderson and Rowell confirmed the calculations, the American physicist John Bardeen, who had shared the 1956 Nobel Prize in Physics (and who shared it again in 1972), objected to Josephson's work. He submitted an article to Physical Review Letters on 25 July 1962, arguing that "there can be no such superfluid flow." The disagreement led to a famous confrontation in September that year at Queen Mary College, London, at the Eighth International Conference on Low Temperature Physics. When Bardeen (then one of the most eminent physicists in the world) began speaking, Josephson (still a student) stood up and interrupted him. The men exchanged views, reportedly in a civil and soft-spoken manner. Donald G. McDonald described the discussion as "youth versus maturity, daring spirit versus depth of experience, and mathematics versus intuition." Josephson, as it turned out, was right. Whitaker writes that the discovery of the Josephson effect led to "much important physics," including the invention of SQUIDs (superconducting quantum interference devices), which are used in geology to make highly sensitive measurements, as well as in medicine and computing. IBM used Josephson's work in 1980 to build a prototype of a computer that would be up to 100 times faster than the IBM 3033 mainframe. Josephson was awarded several important prizes for his discovery, including the 1969 Research Corporation Award for outstanding contributions to science, and the Hughes Medal and Holweck Prize in 1972. In 1973 he won the Nobel Prize in Physics, sharing the $122,000 award with two other scientists who had also worked on quantum tunnelling. Josephson was awarded half the prize "for his theoretical predictions of the properties of a supercurrent through a tunnel barrier, in particular those phenomena which are generally known as the Josephson effects." The other half of the award was shared equally by Japanese physicist Leo Esaki of the Thomas Watson Research Center in Yorktown, New York, and Norwegian-American physicist Ivar Giaever of General Electric in Schenectady, New York, "for their experimental discoveries regarding tunneling phenomena in semiconductors and superconductors, respectively." Unusually, none of the winners had held professorships before being awarded the prize. Josephson spent a postdoctoral year in the United States (1965–1966) as research assistant professor at the University of Illinois. After returning to Cambridge, he was made assistant director of research at the Cavendish Laboratory in 1967, where he remained a member of the Theory of Condensed Matter group, a theoretical physics group, for the rest of his career. He was elected a Fellow of the Royal Society (FRS) in 1970, and the same year was awarded a National Science Foundation fellowship by Cornell University, where he spent one year. In 1972 he became a reader in physics at Cambridge and in 1974 a full professor, a position he held until he retired in 2007. A practitioner of transcendental meditation (TM) since the early seventies, Josephson became a visiting faculty member in 1975 of the Maharishi European Research University in the Netherlands, part of the TM movement. He also held visiting professorships at Wayne State University in 1983, the Indian Institute of Science, Bangalore in 1984, and the University of Missouri-Rolla in 1987. Josephson became a fellow of Trinity College, Cambridge in 1962. The college has a history of interest in parapsychology. Josephson became interested in philosophy of mind in the late sixties and, in particular, in the mind–body problem, and is one of the few scientists to argue that parapsychological phenomena (telepathy, psychokinesis and other paranormal themes) may be real. In 1971 he began practising transcendental meditation (TM), which had become popular with several celebrities, most famously the Beatles. Winning the Nobel Prize in 1973 gave him the freedom to work in less orthodox areas, and he became increasingly involved – including during science conferences, to the irritation of fellow scientists – in talking about meditation, telepathy and higher states of consciousness. In 1974 he angered scientists during a colloquium of molecular and cellular biologists in Versailles by inviting them to read the Bhagavad Gita (5th – 2nd century BCE) and the work of Maharishi Mahesh Yogi, the founder of the TM movement, and by arguing about special states of consciousness achieved through meditation. "Nothing forces us," one scientist shouted at him, "to listen to your wild speculations." Biophysicist Henri Atlan wrote that the session ended in uproar. In May that year Josephson addressed a symposium held to welcome the Maharishi to Cambridge. The following month, at the first Canadian conference on psychokinesis, he was one of 21 scientists who tested claims by Matthew Manning, a Cambridgeshire teenager who said he had psychokinetic abilities; Josephson apparently told a reporter that he believed Manning's powers were a new kind of energy. He later withdrew or corrected the statement. Josephson said that Trinity College's long interest in the paranormal meant that he did not dismiss these ideas out of hand. Several presidents of the Society for Psychical Research had been fellows of Trinity, and the Perrott-Warrick Fund, set up in Trinity in 1937 to fund parapsychology research, is still administered by the college. He continued to explore the idea that there is intelligence in nature, particularly after reading Fritjof Capra's The Tao of Physics (1975), and in 1979 took up a more advanced form of TM, known as the TM-Sidhi program. According to Anderson, the TM movement produced a poster showing Josephson levitating several inches above the floor. Josephson argued that meditation could lead to mystical and scientific insights, and that, as a result of it, he had come to believe in a creator. Cambridge unveiled a plaque on the Mond Building in November 2012 dedicated to the discovery of the Josephson effect. Josephson became involved in the mid-seventies with a group of physicists associated with the Lawrence Berkeley Laboratory at the University of California, Berkeley, who were investigating paranormal claims. They had organized themselves loosely into something called the Fundamental Fysiks Group, and had effectively become the Stanford Research Institute's (SRI) "house theorists," according to historian of science David Kaiser. There was a lot of popular and government interest at the time in quantum mechanics – the American government was financing research at SRI into telepathy – and physicists able to understand it found themselves in demand. The Fundamental Fysiks Group used ideas from quantum physics, particularly Bell's theorem and quantum entanglement, to explore issues such as action at a distance, clairvoyance, precognition, remote viewing and psychokinesis. In 1976 Josephson travelled to California to meet two leading members of the group, laser physicists Russell Targ and Harold Puthoff, authors of Mind Reach (1977). Targ and Puthoff had set up a parapsychology ("psi") lab at SRI and had had papers published about their work – which included testing later-discredited claims by Uri Geller that he could make objects move using psychokinesis – in Nature and other peer-reviewed journals. The San Francisco Chronicle covered Josephson's visit. Josephson co-organized a symposium on consciousness at Cambridge in 1978, publishing the proceedings as Consciousness and the Physical World (1980), with neuroscientist V. S. Ramachandran. A conference on "Science and Consciousness" followed a year later in Cordoba, Spain, attended by physicists and Jungian psychoanalysts, and addressed by Josephson, Fritjof Capra and David Bohm (1917–1992). By 1996 he had set up the Mind–Matter Unification Project at the Cavendish Laboratory to explore intelligent processes in nature. In 2002 he told Physics World: "Future science will consider quantum mechanics as the phenomenology of particular kinds of organised complex system. Quantum entanglement would be one manifestation of such organisation, paranormal phenomena another." Josephson delivered the Pollock Memorial Lecture in 2006, the Hermann Staudinger Lecture in 2009 and the Sir Nevill Mott Lecture in 2010. Matthew Reisz wrote in Times Higher Education in 2010 that Josephson has long been one of physics's "more colourful figures." His support for unorthodox causes has attracted criticism from fellow scientists since the 1970s, including from Philip Anderson. Josephson regards the criticism as prejudice, and believes that it has served to deprive him of an academic support network. He has repeatedly criticized "science by consensus," arguing that the scientific community is too quick to reject certain kinds of ideas. "Anything goes among the physics community – cosmic wormholes, time travel," he argues, "just so long as it keeps its distance from anything mystical or New Age-ish." Referring to this position as "pathological disbelief," he holds it responsible for the rejection by academic journals of papers on the paranormal. He has compared parapsychology to the theory of continental drift, proposed in 1912 by Alfred Wegener (1880–1930) to explain observations that were otherwise inexplicable, which was resisted and ridiculed until evidence led to its acceptance after Wegener's death. Science writer Martin Gardner criticized Josephson in 1980 for complaining to the New York Review of Books, along with three other physicists, about an article by J. A. Wheeler that ridiculed parapsychology. Several physicists complained in 2001 when, in a Royal Mail booklet celebrating the Nobel Prize's centenary, Josephson wrote that Britain was at the forefront of research into telepathy. Physicist David Deutsch said the Royal Mail had "let itself be hoodwinked" into supporting nonsense, although another physicist, Robert Matthews, suggested that Deutsch was skating on thin ice given the latter's own work on parallel universes and time travel. In 2004 Josephson criticized an experiment by the Committee for Skeptical Inquiry to test claims by Russian schoolgirl Natasha Demkina that she could see inside people's bodies using a special kind of vision. The experiment involved her being asked to match six people to their confirmed medical conditions (plus one with none); to pass the test she had to make five correct matches, but made only four. Josephson argued that this was statistically significant, and that the experiment had set her up to fail. One of the researchers, Richard Wiseman, professor of psychology at the University of Hertfordshire, responded that Josephson had no record of publishing on parapsychology. Keith Rennolis, professor of applied statistics at the University of Greenwich, supported Josephson's position but that the experiment was "woefully inadequate" to determine any effect. Josephson's reputation for promoting unorthodox causes was cemented by his support for the ideas of water memory and cold fusion, both of which are rejected by mainstream scientists. Water memory is purported to provide an explanation for homeopathy; it is mostly dismissed by scientists as pseudoscience, although Josephson has expressed support for it since attending a conference at which French immunologist Jacques Benveniste first proposed it. Cold fusion is the hypothesis that nuclear reactions can occur at room temperature. When Martin Fleischmann, the British chemist who pioneered research into it, died in 2012, Josephson wrote a supportive obituary in the Guardian and complained to Nature that its obituary had failed to give Fleischmann due credit. Antony Valentini of Imperial College London withdrew Josephson's invitation to a 2010 conference on the de Broglie-Bohm theory because of his work on the paranormal, although it was reinstated after complaints. ↑ 4.0 4.1 International Who's Who, 1983-84, Europa Publications Limited, 1983, p. 672. ↑ "Emeritus Faculty Staff List", Department of Physics, Cavendish Laboratory, University of Cambridge. ↑ 6.0 6.1 6.2 "Brian D. Josephson", Encyclopædia Britannica. ↑ "Mind–Matter Unification Project (TCM Group, Cavendish Laboratory)", University of Cambridge. Brian Josephson, "Foreword," in Michael A. Thalbourne and Lance Storm (eds. ), Parapsychology in the Twenty-First Century: Essays on the Future of Psychical research, McFarland, 2005, pp. 1–2. Brian Josephson, "We Think That We Think Clearly, But That's Only Because We Don't Think Clearly," in Patrick Colm Hogan and Lalita Pandit (eds. ), Rabindranath Tagore: Universality and Tradition, Fairleigh Dickinson University Press, 2003, pp. 107–115. Jessica Utts and Brian Josephson, "Do you believe in psychic phenomena? Are they likely to be able to explain consciousness? ", Times Higher Education, 8 April 1996. ↑ Waldram 2012, 2:58 mins; for the shyness, Alexei Kojevnikov, "Interview with Dr. Philip Anderson", Session III, Princeton Physics Department Building, 23 November 1999. ↑ 11.0 11.1 Edwin Cartlidge, "Pioneer of the Paranormal", Physics World, May 2002. ↑ 14.0 14.1 "Unveiling of B D Josephson commemorative plaque", University of Cambridge, November 2012. ↑ Andrew Whitaker, The New Quantum Age: From Bell's Theorem to Quantum Computation and Teleportation, Oxford University Press, 2012, p. 273. ↑ James S. Trefil, "Josephson Effect," The Nature of Science, Houghton Mifflin Harcourt, 2003, p, 225. Also see A Century of Excellence in Measurements, Standards, and Technology, National Institute of Standards and Technology Special Publication, 1988, p. 315ff. ↑ B. D. Josephson, "Possible new effects in superconductive tunnelling", Physics Letters, 1(7), 1 July 1962 (received 8 June 1962), pp. 251–253. Also see Brian Josephson, "The History of the Discovery of Weakly Coupled Superconductors," in John Roche (ed. ), Physicists Look Back: Studies in the History of Physics, CRC Press, 1990, p. 375. ↑ Philip Anderson and John Rowell, "Probable Observation of the Josephson Superconducting Tunneling Effect", Physical Review Letters, 10(6), 15 March 1963 (received 11 January 1963), pp. 230–232. ↑ Donald G. McDonald, "The Nobel Laureate Versus the Graduate Student", Physics Today, July 2001, pp. 46–51. Also see Donald G. McDonald, "History of the Josephson Effect" (lecture), IEEE.TV. ↑ Whitaker 2012, pp. 273–274. Donald G. McDonald, "Superconducting electronics", Physics Today, February 1981. Anthony J. G. Hey and Patrick Walters, The New Quantum Universe, Cambridge University Press, 2003, pp. 154–155. Gabrielle Walker, "Technology: How SQUIDs were found where crystals meet", New Scientist, 1776, 6 July 1991. Donald G. McDonald, "The Nobel Laureate Versus the Graduate Student", Physics Today, July 2001 (pp. 46–51), p. 51. Alexandre T. Filippov, "Josephson Solitons," The Versatile Soliton, Springer, 2010, p. 213ff. ↑ "Brian D. Josephson", Encyclopædia Britannica: "Applying Josephson's discoveries with superconductors, researchers at International Business Machines Corporation had assembled by 1980 an experimental computer switch structure, which would permit switching speeds from 10 to 100 times faster than those possible with conventional silicon-based chips, increasing data processing capabilities by a vast amount." W. Anacker, "Josephson Computer Technology: A IBM Research Project", IBM Journal of Research and Development, 24(2), March 1980. For speeds, p. 108. H. Nakagawa, et al., "Fabrication process for Josephson computer ETL-JC1 using Nb tunnel junctions", IEEE Transactions on Magnetics, 27(2), 3109–3112, March 1991. ↑ "Why a crocodile? ", Cavendish Laboratory. ↑ 24.0 24.1 Brian Sullivan, "Physics is Often a Young Man's Game", Associated Press, 17 December 1969. ↑ "The Nobel Prize in Physics 1973", Nobelprize.org; for $122,000, see "From Stockholm, with Love", Science News, 104(17), 27 October 1973 (pp. 260–261), p. 260. ↑ "The Nobel Prize in Physics 1973", Nobelprize.org. For Esaki's and Giaever's details, see "Nobel Prizes awarded", Associated Press, 24 October 1973. ↑ Marika Griehsel, "Interview with Brian D. Josephson", nobelprize.org, June 2004. ↑ "Cambridge Theory of Condensed Matter group", University of Cambridge, accessed 14 October 2009. ↑ 29.00 29.01 29.02 29.03 29.04 29.05 29.06 29.07 29.08 29.09 29.10 29.11 "Brian D. Josephson", in Stig Lundqvist (ed. ), Nobel Lectures, Physics 1971–1980, World Scientific Publishing Co., 1992. ↑ International Who's Who, 1983-84, Europa Publications Limited, 1983, p. 672; Brian Josephson, "Intelligence and Physics" (lecture), Maharishi European Research University, 21 June 1976. ↑ "Brian D. Josephson", in Lundqvist 1992. ↑ Alison George, "Lone voices special: Take nobody's word for it", New Scientist, 9 December 2006 (pp. 56–57), p. 56. 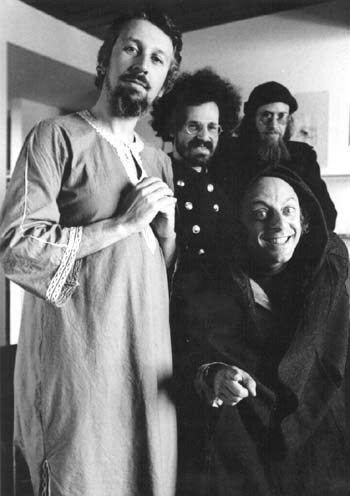 ↑ Bob Oates, Celebrating the Dawn: Maharishi Mahesh Yogi and the TM technique, Putnam, 1976, p. 204; Emily J. McMurray, Jane Kelly Kosek, and Roger M. Valade, Notable Twentieth-Century Scientists, Gale Research, 1995, p. 1044. For celebrities and TM, Lola Williamson, Transcendent in America, NYU Press, 2010, p. 93. ↑ Eliot Marshall, "For Winners, a New Life of Opportunity – and Perils", Science, 294(5541), 12 October 2001 (pp. 293, 295), p. 295. ↑ Henri Atlan, Enlightenment to Enlightenment: Intercritique of Science and Myth, SUNY Press, 1993, pp. 20–21. ↑ "Josephson on transcendental meditation," New Scientist, 16 May 1974, p. 416; Stuart Halperin, "The birth of Creative Intelligence," New Scientist, 23 May 1974, p. 459. ↑ David F. Marks, The Psychology of the Psychic, Prometheus Books, 2000, p. 200. A. R. G. Owen; J. L. Whitton, "Report on Demonstration and Experiments performed during the Conference", Proceedings of the First Canadian Conference on Psychokinesis, New Horizons, 1(5), January 1975, p. 191ff. ↑ Matthew Manning, One Foot in the Stars, Thorsons, 1999, pp. 60–61. ↑ Josephson 2005, p. 1. ↑ Former presidents of the Society who were fellows or members of Trinity include Henry Sidgwick (1838–1900); John William Strutt (1842–1919), Cavendish Professor of Physics and winner of the Nobel Prize in Physics in 1904; F. W. H. Myers (1843–1901); Edmund Gurney (1847–1888); Arthur Balfour (1848–1930), who became prime minister; his brother Gerald Balfour (1853–1945); and C. D. Broad (1887–1971), Knightbridge Professor of Moral Philosophy. Wendy E. Cousins, "Colored Inklings: Altered States of Consciousness and Literature," in Etzel Cardeña and Michael Winkelman (eds. ), Altering Consciousness: Multidisciplinary Perspectives, Volume 1, ABC-CLIO, 2011, p. 296. Jenny Bourne Taylor, "Psychology at the fin de siècle," in Gail Marshall, The Cambridge Companion to the Fin de Siècle, 2007, pp. 26–27. ↑ For higher consciousness and meditation, see Brian Josephson, "A Theoretical Analysis of Higher States of Consciousness and Meditation", Current Topics in Cybernetics and Systems, 1978, pp. 3–4; for Fritjof Capra, George (New Scientist) 2006, p. 56. ↑ For the TM-Sidhi program, Brian Josephson in Pamela Weintraub, The Omni Interviews, Ticknor & Fields, 1984, p. 317. For the poster, Jeremy Bernstein, Three Degrees Above Zero: Bell Laboratories in the Information Age, CUP Archive, 1987, p. 142. Also see Bruce Schechter, The Path of No Resistance: The Story of the Revolution in Superconductivity, Simon & Schuster, 1989, p. 163. ↑ For mystical and scientific insights, Paul Davies, The Mind of God, Simon & Schuster, 1993, p. 227. For belief in a creator, Brian Josephson, "There Need Be No Ultimate Conflict Between Science and Religion," in Henry Margenau and Roy Abraham Varghese (eds. ), Cosmos, Bios, Theos, Open Court Publishing, 1992, p. 50. ↑ David Kaiser, "How the Hippies Saved Physics", MIT School of Humanities, Arts and Social Sciences, 2010, from 20:00 mins; for house theorists, from 23:20 mins. ↑ Kaiser 2010, from 20:00 mins. ↑ David Kaiser, How the Hippies Saved Physics: Science, Counterculture, and the Quantum Revival, W. W. Norton & Company, 2011, pp. 144, 173; Kaiser 2010, from 32:00 mins. Russell Targ and Harold Puthoff, "Information transmission under conditions of sensory shielding", Nature, 17 October 1974; "Investigating the paranormal", Nature, 18 October 1974. Martin Gardner, Science: Good, Bad, and Bogus, Prometheus Books, 1989, p. 95. ↑ Brian Josephson and V.S. Ramachandran (eds. ), Consciousness and the Physical World, Pergamon Press, 1980. ↑ Yasuo Yuasa, Overcoming Modernity: Synchronicity and Image-Thinking, SUNY Press, 2009, p. 179. Henri Atlan, Enlightenment to Enlightenment: Intercritique of Science and Myth, SUNY Press, 1993, p. 22ff. Brian Josephson, "Conscious Experience and its Place in Physics," paper presented at Colloque International Science et Conscience, Cordoba, 1–5 October 1979, in Michel Cazenave (ed. ), Science and Consciousness: Two Views of the Universe, Edited Proceedings of the France-Culture and Radio-France Colloquium, Cordoba, Spain, Pergamon Press, 1984. ↑ Matthew Segall, "Mind Matter Unification/The Foundations of Quantum Mechanics", Theory of Condensed Matter group, Cavendish Laboratory, 26 March 1996. Brian Josephson, "Mind–Matter Unification Project", Cavendish Laboratory, 27 April 1997. Brian Josephson, Homepage, Cavendish Laboratory. ↑ "The Pollock Memorial Lecture", The Royal Society of New South Wales and the University of Sydney; "4th Hermann Staudinger Lecture with Nobel Laureate Brian D. Josephson, 28 October 2009", Freiburg Institute for Advanced Studies; "2010 Professor Brian Josephson: Which way for Physics? ", Loughborough University. ↑ Matthew Reisz, "He didn't see that coming, or did he? ", Times Higher Education, 19 April 2010. Also see Mark Jackson, "The not-so-noble past of the Nobel Prizes", The Conversation, 6 October 2013. ↑ Burton Feldman, The Nobel Prize: A History of Genius, Controversy, and Prestige, Arcade Publishing, 2001, p. 199; also see Robert L. Park, Superstition: Belief in the Age of Science, Princeton University Press, 2009, p. 156. ↑ Alison George (New Scientist) 2006, p. 57. ↑ Alison George (New Scientist) 2006, p. 56; Brian Josephson, "Pathological Disbelief"], lecture, Nobel Laureates' meeting, Lindau, 30 June 2004. ↑ Josephson 2005, pp. 1–2; for Wegener, also see J. W. Grove, "Rationality at Risk: Science against Pseudoscience", Minerva, 23(2), June 1985 (pp. 216–240), p. 218. ↑ Olivier Costa de Beauregard, Richard D. Mattuck, Brian D. Josephson and Evan Harris Walker, "Parapsychology: An Exchange", New York Review of Books, 27, 26 June 1980, pp. 48–51. The other three physicists were Evan Harris Walker (1935–2006), Olivier Costa de Beauregard (1911–2007) and Richard D. Mattuck. ↑ Brian Josephson, "Physics and the Nobel Prizes", Royal Mail, 2001: "Physicists attempt to reduce the complexity of nature to a single unifying theory, of which the most successful and universal, the quantum theory, has been associated with several Nobel prizes, for example those to Dirac and Heisenberg. Max Planck's original attempts a hundred years ago to explain the precise amount of energy radiated by hot bodies began a process of capturing in mathematical form a mysterious, elusive world containing 'spooky interactions at a distance', real enough however to lead to inventions such as the laser and transistor. "Quantum theory is now being fruitfully combined with theories of information and computation. These developments may lead to an explanation of processes still not understood within conventional science such as telepathy, an area where Britain is at the forefront of research. ↑ David McKie, "Royal Mail's Nobel guru in telepathy row", The Observer, 30 September 2001; Robert Matthews, "Time Travel", The Daily Telegraph, 8 November 2001. ↑ "Body Shock: The Girl With X-Ray Eyes", Discovery Channel, 2004 (for a display from Demkina's perspective, see part 2, from 04:00 mins; for the second, more controlled, experiment, part 2, from 10:30 mins and part 3). Andrew A. Skolnick, "Natasha Demkina: The Girl with Very Normal Eyes", LiveScience, 28 January 2005. ↑ Phil Baty, "Scientists fail to see eye to eye over girl's 'X-ray vision'", Times Higher Education, 10 December 2004. Brian Josephson, "Scientists' unethical use of media for propaganda purposes", Cavendish Laboratory, 2004. Brian Josephson, "Distorted visions 2", Times Higher Education, 17 December 2004. Also see Rupert Sheldrake, "Distorted visions 1", Times Higher Education, 17 December 2004. ↑ Keith Rennolls, "Distorted visions 3", Times Higher Education, 17 December 2004. ↑ George (New Scientist) 2006, p. 56. Brian Josephson, "Molecule memories", letters, New Scientist, 1 November 1997. Brian Josephson, "Molecular memory", The Independent, 22 March 1999. Dana Ullman, The Homeopathic Revolution, North Atlantic Books, 2007, p. 130ff. ↑ Brian Josephson, "Martin Fleischmann obituary", The Guardian, 31 August 2012. Brian Josephson, "Fleischmann denied due credit", Nature, 490, 4 October 2012, p. 37 (also available here). For background on cold fusion, see Thomas F. Gieryn, Cultural Boundaries of Science: Credibility on the Line, University of Chicago Press, 1999, pp. 183–232. ↑ Reisz (Times Higher Education), 19 April 2010. Antony Valentini, "Private email, public mob", Times Higher Education, 13 May 2010. "21st-century directions in de Broglie-Bohm theory and beyond", Physics World, July 2010. ↑ Peter Stubbs, "Tunnelling for physicists", New Scientist, 60(870), 1 November 1973. Brian Josephson's home page, University of Cambridge. "bdj50: Conference in Cambridge to mark the 50th Anniversary of the Publication of Brian Josephson’s Seminal Work", Department of Physics, University of Cambridge. Anderson, Philip. "How Josephson Discovered His Effect", Physics Today, November 1970. Anderson's account of Josephson's discovery; he taught the graduate course in solid-state/many-body theory in which Josephson was a student. Barone, A. and Paterno, G. Physics and Applications of the Josephson Effect, Wiley, 1982. Bertlmann, R. A. and Zeilinger, A. (eds. ), Quantum (Un)speakables: From Bell to Quantum Information, Springer, 2002. Buckel, Werner and Kleiner, Reinhold. Superconductivity: Fundamentals and Applications, VCH, 1991. Jibu, Mari and Yasue, Kunio. Quantum Brain Dynamics and Consciousness: An Introduction, John Benjamins Publishing, 1995. Josephson, Brian. "Quantum Mechanics, thermodynamics and transcendental meditation", courtesy of YouTube, 12 January 1975. Josephson, Brian; Rubik, Beverly A.; Fontana, David; Lorimer, David. "Defining consciousness", Nature, 358(618), 20 August 1992. Rosen, Joe. "Josephson, Brian David," Encyclopedia of Physics, Infobase Publishing, 2009, pp. 165–166. Stapp, Henry. "Quantum Approaches to Consciousness," in Philip David Zelazo, Morris Moscovitch and Evan Thompson (eds. ), The Cambridge Handbook of Consciousness, 2007. Stenger, Victor J. The Unconscious Quantum: Metaphysics in Modern Physics and Cosmology, Prometheus Books, 1995. This page was last modified on 13 April 2016, at 16:37.